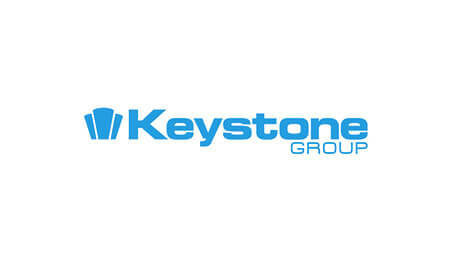 In recognition of its family-friendly working practices, The Keystone Group received a Highly Commended award in the ‘Large Private Sector’ category at the Family Friendly Employer Awards held at the Galgorm Resort and Spa on Tuesday 26 September 2017. Now in its seventh year, the Family Friendly Employer Awards recognise employers across all sectors in Northern Ireland and in the UK that have implemented family-friendly work policies to help families balance work and personal life more effectively. The Awards Ceremony, compered by Sarah Travers, was a truly celebratory event with inspirational and informative addresses from Jonathan Jenkins, CEO of London’s Air Ambulance, as well as Damian McAlister from Belfast Health and Social Care Trust, last year’s overall winner, and Maxine Orr, Partner at Worthington’s Solicitors, sponsor of the awards and one of the judges. 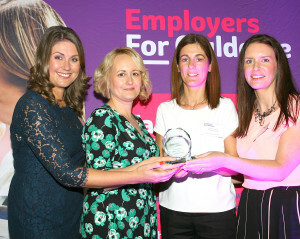 Learning from this year’s winners will be presented at a workshop organised by Employers For Childcare in the New Year. Highlights of the ceremony, including video interviews with attendees, winners and speakers, can be viewed at Employers For Childcare’s website: www.employersforchildcare.org.